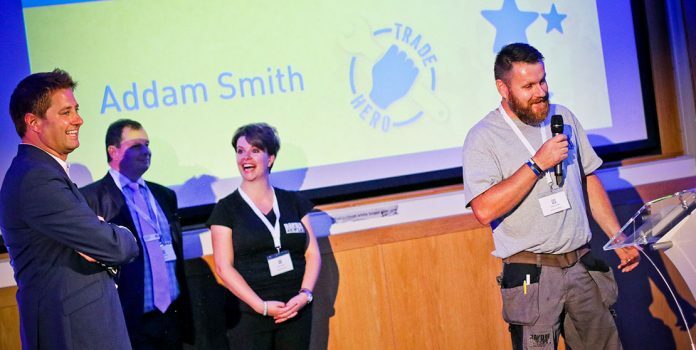 Lincoln builder Addam Smith has been named winner of the Trade Hero Award in the Jewson Building Better Communities competition 2017. 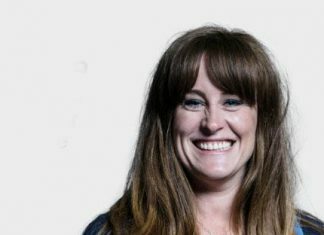 Addam will now receive £50,000 worth of building materials to complete a community renovation project. Addam and his ‘Band of Builders’ helped to transform the home of their friend, Keith, who was diagnosed with terminal cancer. In his memory, the team now has plans to help others by extending the scheme nationwide. David Thomas was named runner-up of the category, while Farms for City Children has been awarded a grand regional prize of £50,000 worth of materials and labour. A further 23 community projects have won prizes of up to £10,000 worth of materials for renovation and new build projects. Addam was invited to join the 25 other winners at an awards ceremony at the University of Nottingham where celebrity architect, George Clarke, presented the prizes. Dave Hill, Branch Manager at Jewson Lincoln, Addam’s local branch, said: “When we launched the Trade Hero category, we knew that we’d see some inspiring stories emerge. Addam worked tirelessly to improve the life of his friend, and we’re proud to be supporting the work he will go on to do in memory of Keith. Previous articleWho said us journalists have it easy?